LED lighting has seen tremendous growth over the past several years, especially in Chicagoland, where we are supported by some fantastic ComEd rebate programs and incentives to help make LED conversions affordable. These rebates are a line item tax on all of our utility bills, and will lead to almost $400 million in incentives and rebates paid toward energy efficiency projects in Illinois in 2018. Yes, you read that right! Outdoor LED lighting conversions took a while to catch up to interior LED options for a variety of reasons. However, you may remember noticing about 3 years ago the increased brightness of gas stations throughout the area. Gas stations were some of the first to embrace LED lighting canopy lights, as safer and more inviting places to fill up for gas actually drove more revenue for brand gas stations. Companies like BP and Mobile provided support for their individual station operators to upgrade to LED lighting, often using utility lighting Chicago rebates. Most of our customers make decisions based on energy savings and ROI (Return on Investment), and unfortunately do not receive improved revenue with improved lighting like the gas stations. These Chicagoland businesses must make their investment decisions based on energy savings. However, we see a lot of unexpected benefits of our customers converting to LED, and here are a few. 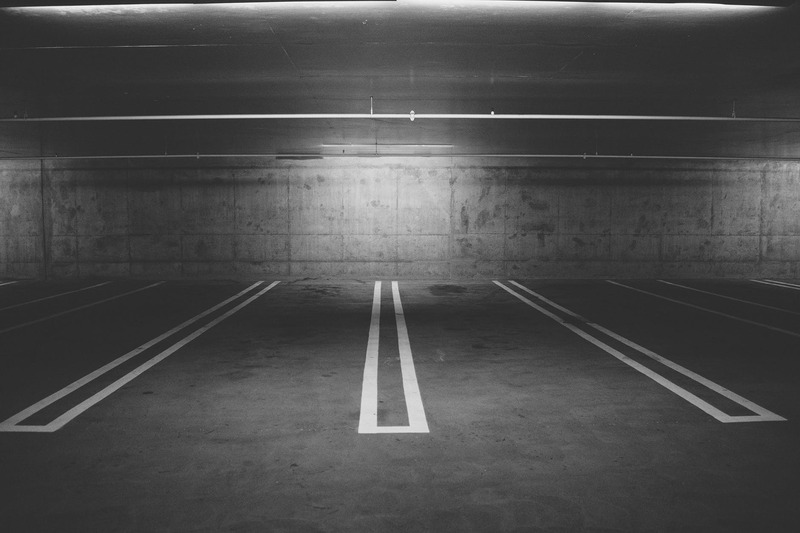 Well lit parking lots are safer for both patrons and employees of businesses. One employee told us her 20 second walk to her car after the parking lot was upgrade to LED lighting removed a major daily anxiety event for her! LED light has the benefit of being a directional light, meaning that pole lights in a restaurant will put the light on the ground below, with less light being cast about the general area. This can lead to improved light directly where employees and patrons need it - not in the ally or grass behind the parking lot. An increasing concern in our society is how we impact nature around us. The beautiful orange glow you see as you approach Chicago shows how much we have developed and built up our environment, but it also has negative impact on our natural species. Birds, bats, and others benefit from a darker sky, which LED can improve. The dark sky compliant fixtures that we install provide more sustainable solutions than just energy efficiency. It can help our native species, our gardens, and provide safety without compromising our natural partners in crime. Outdoor maintenance is just a pain - often expensive to get to high places, and often lights need maintenance in the winter when snow and sleet is common. It is also when light is most needed for a business, when the sun is setting at 4:30pm or 5pm. LED lighting contractors in Chicago that provide business lighting services are often expensive to contract, especially when lift work is included. LED fixtures come with an incredible longevity - and if you replace the entire outdoor lighting at one time (hopefully in the summer!) you will find years of benefits. This leads to less maintenance expenses on the business - and more money for employee gifts (suggested an anonymous employee). Glass fixtures and lamps can be easily broken with rocks, basketballs, or other means. Yes, basketballs in Chicago breaking outdoor lighting fixtures is a real thing that we see. New fixtures can be housed in an durable housing, with little or no lens that can be broken. LED fixtures are often a durable plastic that are virtually impossible to break, unlike older metal halide and other HID fixtures. Even if the outer plastic housing outside is damaged, the LED will still continue to provide lighting. “Do I need a ballast for LED lights” is one of our most common customer questions. LEDs use a driver, and not a ballast, to drive the LED light output. Metal halide, sodium vapor, and other HID ballasts are notorious for not only high maintenance - but also a loud and annoying buzzing sound as they age. LED fixtures have an internal driver inside of them, which can last 70,000 hours. With 8,653 hours in a year -that is a long time before maintenance will be required. Even if the light is on all night (half the year), the driver would last 14 years. Philips makes excellent drivers, although there are many manufacturers that continue to drive the market toward improved lifetime usage. Combined with the right LED driver, a LED can smoothly dim from 100% to 0% light output. This creates some new options for outdoor lighting, especially when combined with motion sensors. We recently completed a project for the catholic Archdiocese in Joliet that combined new LED pole lights with occupancy sensors, dimming the lights down to 10% when no one was present. This keeps some level of safety and security at all times, while maximizing energy efficiency. Since the fixtures we installed were 100 watts, they were only using 10 watts a majority of the night. This took the original energy savings from 250 watt metal halides down another 90% further, when no one was in the parking lot. One even further benefit - LED drivers are often limited in lifetime because of heat generated. Since dimmed LED lights create less heat from the driver than full usage, you will find an even longer lifespan on products with sensors and dimmed usage. If you'd like to recieve all benefits LEDs have to offer, we can help you with that. It starts by by scheduling a FREE Energy Assessment. Next Are Smart Power Strips Worth the Money?